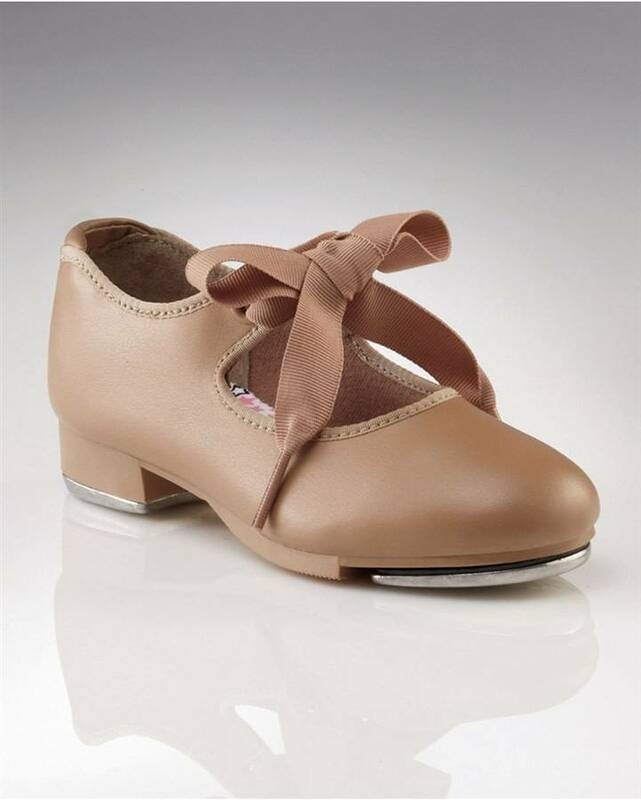 The Jr. Tyette tap shoe is the number one choice for a beginner tapper. Comes in shiny black patent leather, caramel PU leather or white PU leather. 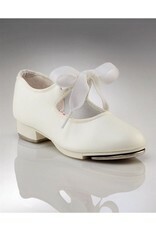 Adorable ribbon tie and star printed cotton lining will inspire your little dancer to have Broadway sized dreams. Features foam padded footbed, collar and Achilles notch for added comfort and security. 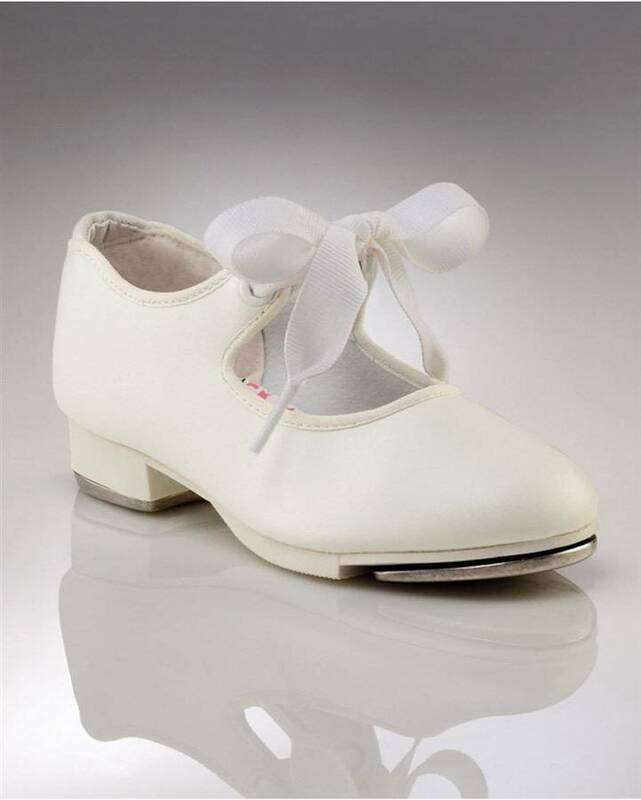 Introductory tappers will take their first steps with confidence in the Jr. Tyette.